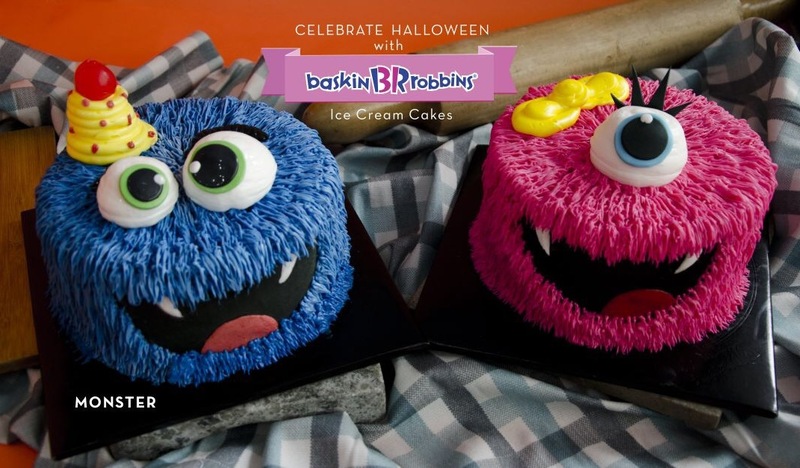 The Food Alphabet and More: Sweet treats for Halloween from Baskin-Robbins - featuring Monster Ice Cream Cakes!!! Sweet treats for Halloween from Baskin-Robbins - featuring Monster Ice Cream Cakes!!! 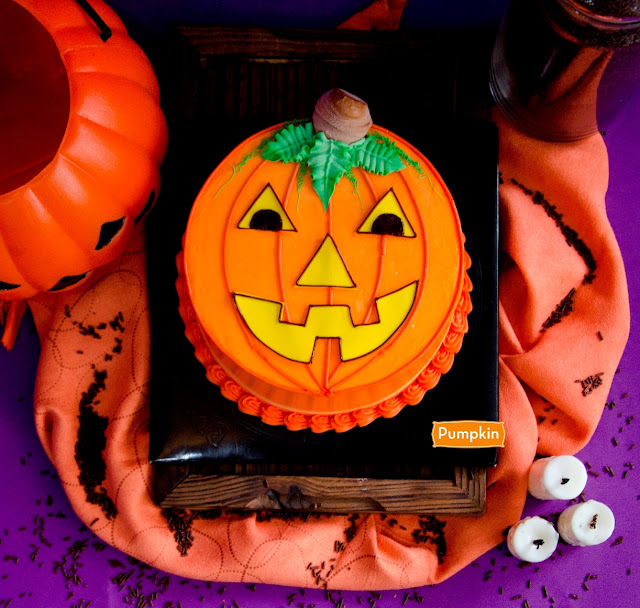 Make Halloween more thrilling and fun with exciting new Halloween-themed ice cream cakes from Baskin-Robbins. 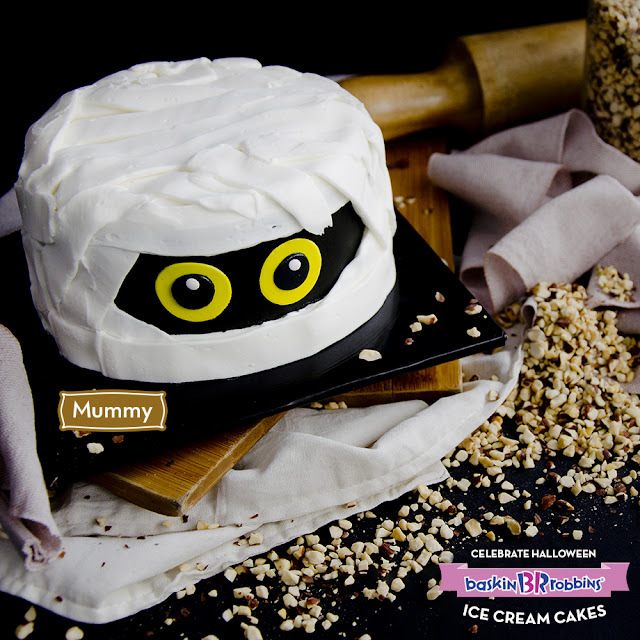 Surprise your kids and loved ones with sweet and delectable ice cream cakes that come in various designs: vibrant pink or blue monsters, a nutty mummy, a crazy purple witch, and many more. 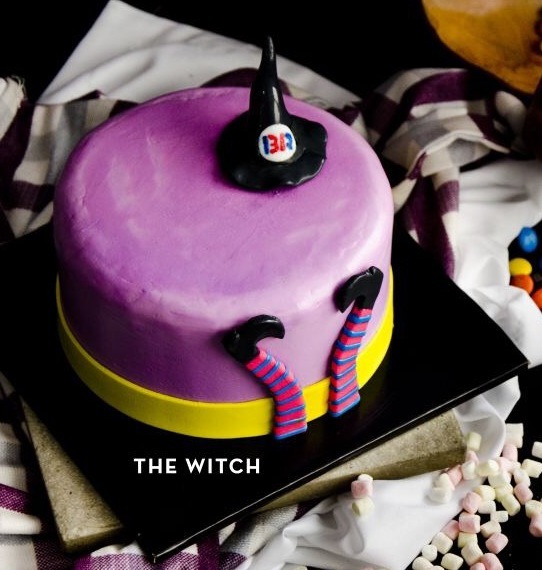 Baskin-Robbins also offers a variety of ice cream flavors you can customize your cake with. Try Baskin-Robbins’ October Flavor of the Month, Orange You Scared, a delicious combo of chocolate and marshmallow for a spooky sweet treat. 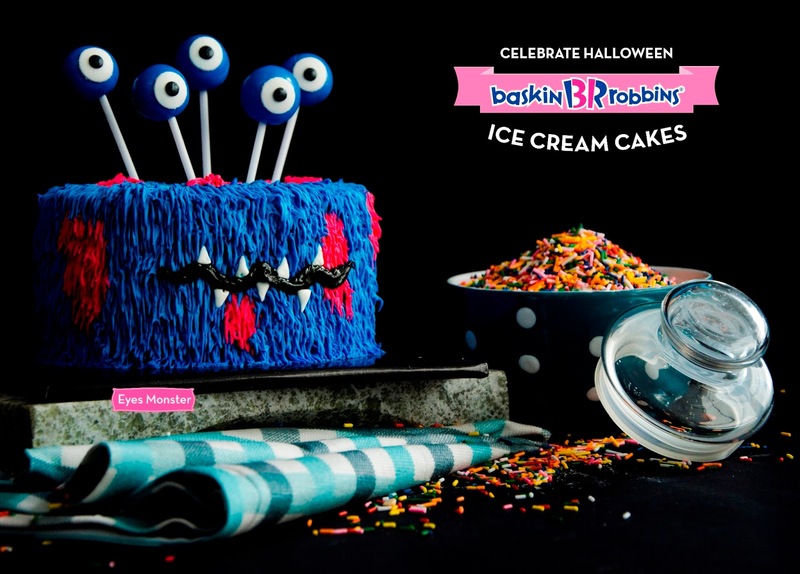 Celebrate Halloween with Baskin-Robbins and create wonderful memories that last. Visit Baskin-Robbins shops at Ayala Malls The 30th and SM East Ortigas in Pasig; Central Square, Bonifacio High Street, Uptown Place Mall, and SM Aura in Bonifacio Global City; Greenbelt 5, Glorietta 2 and Glorietta 5 in Makati; Trinoma Mall and SM North Edsa (City Center and The Block) in Quezon City; SM Southmall in Las Pinas; Solenad in Santa Rosa, Laguna; SM Dasmariñas in Cavite; and SM Pampanga.